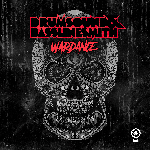 Hot off the press – The new single by Drumsound & Bassline Smith featuring Hadouken ‘Daylight’, Received its World Premiere on Zane Lowe’s Radio 1 show last night. Here is a Youtube link to the track in case you missed its 1st play. Due for release Oct / Nov 2012 on Newstate Music.